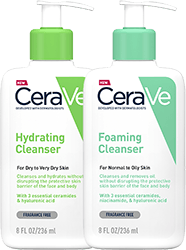 CeraVe moisturisers do more than just moisturise the skin’s surface because they contain an exclusive combination of essential ceramides healthy skin needs. 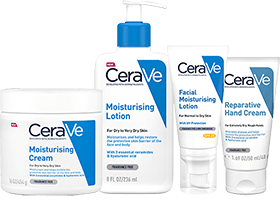 A rich moisturising cream for all day hydration with 3 essential ceramides to help protect the skin’s natural barrier. A deeply moisturising, reparative hand cream for dry, rough hands enriched with 3 essential ceramides to help protect skin’s natural barrier.